Information about Weir Farm National Historic Site's Artist in Residence Program. 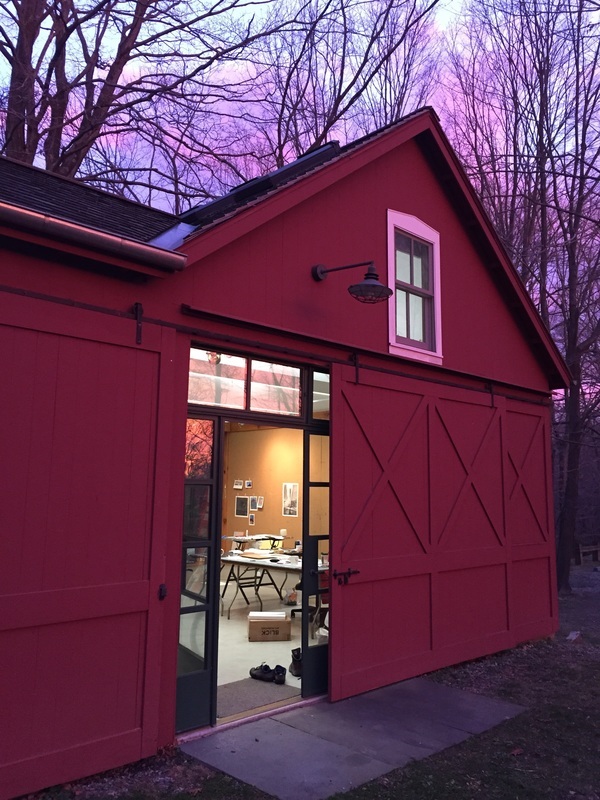 Are you an artist who has considered a National Park Residency? Get in touch to chat about opportunities. This page is focused on the residency at Weir Farm, however I am happy to talk about other opportunities in the NPS via email. Weir Farm has a connection to the Center for Contemporary Printmaking, about 25 minutes away. You can access discounted studio time with some pre-planning. Also in the area are the New Britain Museum, The Aldritch, and many local galleries and art organizations. I attended some great open studios in Bridgeport and New Haven CT. Applications are accepted annually by SEPTEMBER 30, for February -November of the following year. Artists applying for the shoulder months should know that Weir Farm National Historic Site's grounds remain open to the public, however regular tours and events do not occur. Park staff will still be available with questions.